Burgers are a staple in American cuisine. So when I arrived in the United States of America, I knew that it would only be a matter of time when I would have my very first burger in the United States. Of course, I have tried burgers from American stores with a presence in the Philippines such as Burger King, McDonald's, and Wendy's. 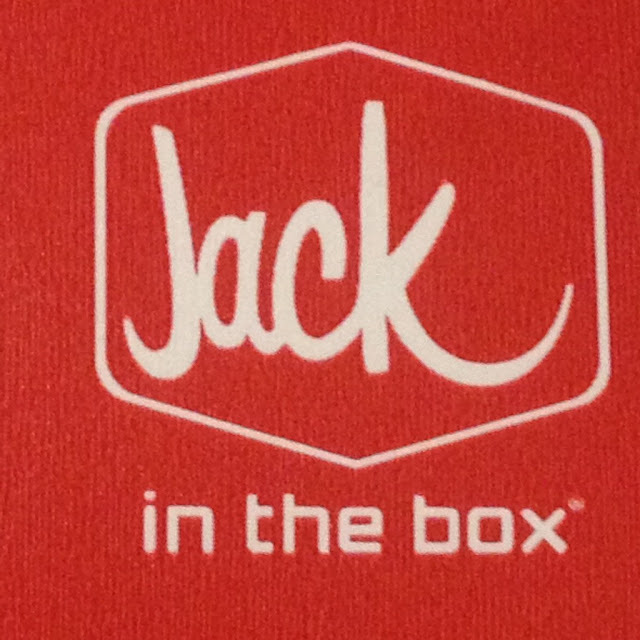 My very first taste of burger in America was from a Jack in the Box store located within a Chevron gas station very close to my new home in Stockton, California. We ordered the Sourdough Jack sandwich, a Bacon Ultimate Cheeseburger, a Bacon and Cheese Buttery Jack Sandwich, and an Ultimate Cheeseburger. Sourdough Jack is beef burger patty, bacon, cheese, ketchup, and mayonnaise on lightly toasted sourdough bread. Nothing really fancy. 3 slices of bacon, 2 beef patties, 2 kinds of cheese, mustard, mayonnaise, ketchup all in one burger sandwich. Sounds good? 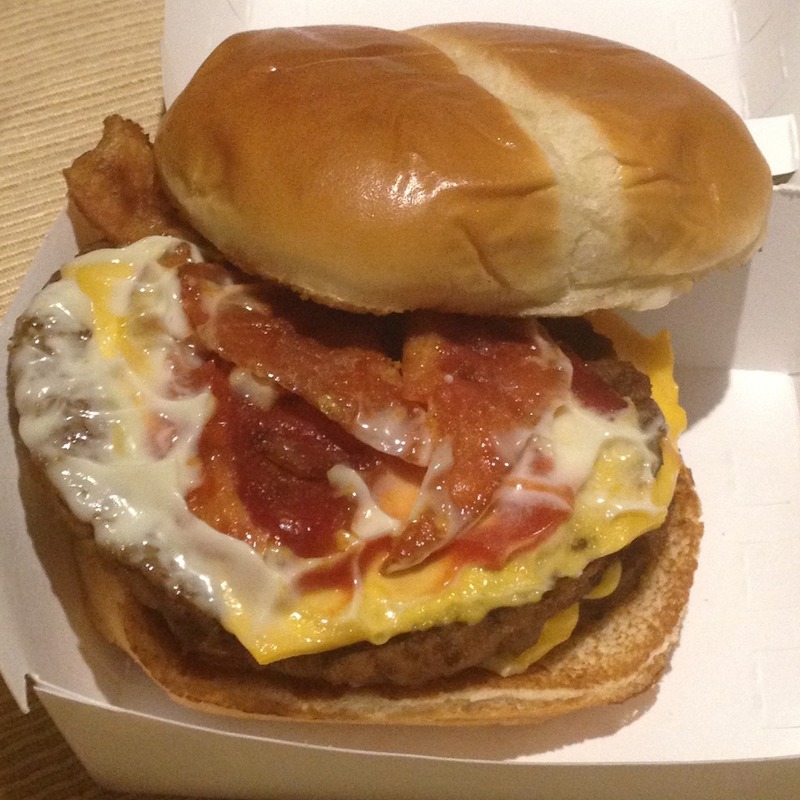 That is the Bacon Ultimate Cheeseburger. We had a choice of the Classic Buttery or Bacon and Cheese Buttery Jack. You bet, it's the bacon that made the choice easier. 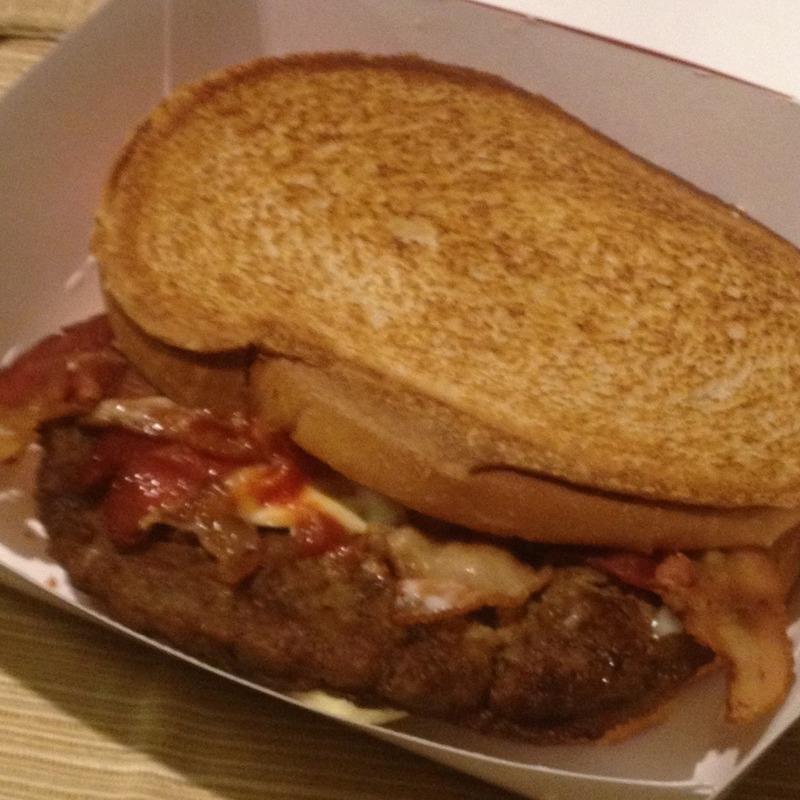 This one's got a bigger patty than the other sandwiches we ordered. And a weird looking bun as well. 2 beef burger patties, 2 kinds of cheese, mayonnaise, mustard, and ketchup. 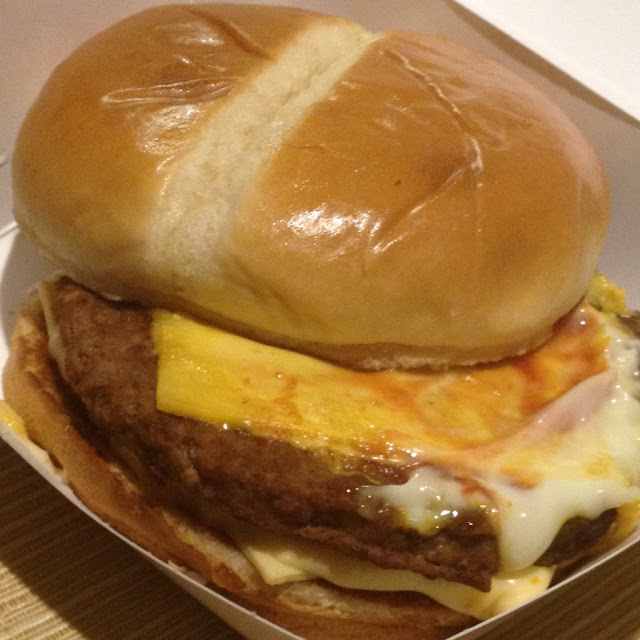 Pretty standard for a cheeseburger. Presentation. 7/10. They all look messy compared to what you see on the menu photo. Oh well, that's usually common in any restaurant. Taste. 7.5/10. 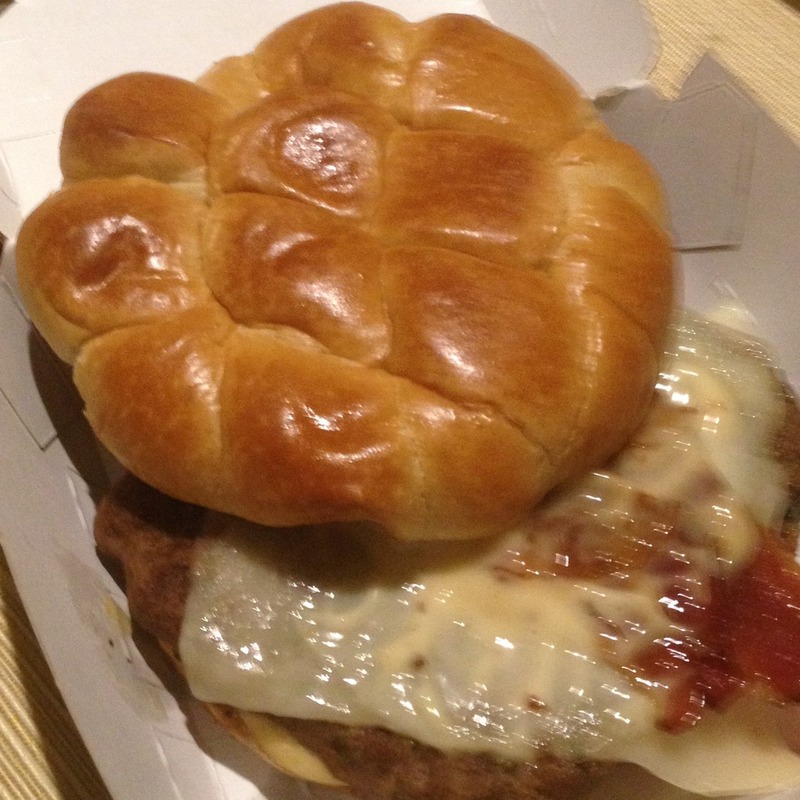 The sandwiches from Burger King in the Philippines definitely taste better. My siblings primed me to lower my expectation before I took my first bite. It turns out it was better than they suggested though. Would I Come Back? Yes! Largely because this is the burger joint closest to home. And, it ain't bad really. Plus they have the buy one, get one promo on their Jumbo Jacks and Supreme Croissants in exchange for customer feedback.